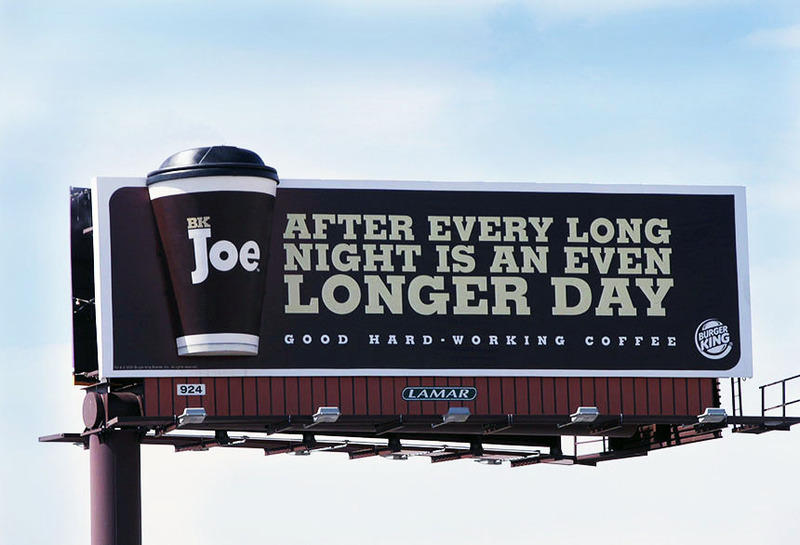 Burger King ran a campaign advertising its new coffee. The simplicity of the message and the enormous 3D coffee cup extension made the bulletin striking to all consumers who passed by. A fog machine was added to the board for extra effect.